Welcome to the Mentor Men’s Golf Outing. My name is Jeff Smith and I’m coordinating this year’s men’s golf event at Brunswick Plantation and Golf Resort in Calabash, NC, not far from Myrtle Beach. The Mentor Men’s Ministry is a group of guys from our area that promote mentoring, mostly between fathers and sons, but also to boys who don’t have relevant father figures. This is not an event sponsored by them. I just thought you might like to know about the name of our group! I wanted to send you this information sheet that will (hopefully) answer any questions you have about the event. If you have further questions, please contact me at jeff@saltandlightmin.org or 804.690.2778. Our Group is #320. You will need to reference this when you book your stay with us through the Plantation. Anyone at the staff can take your reservation at 800-332-8576. My primary point of contact is Latresa Lance. You can also email them at rentals@bpemail.net. 9-hole replay is included in your package for this day only. April 11: 8:00 at Sandpiper Bay Golf and Country Club sandpiperbaygolf.com. Cost per golfer is $306.83. This includes golf, lodging, taxes, and resort fees. It does not include meals, 9-hole replays on Sandpiper or Carolina National, tips, snacks, etc. A $100 deposit is required to secure your spot. The balance is due on or before March 25, 2019. If you cancel 15 days or more prior to your reservation you will be charged a $25 cancellation fee. If you cancel 14 days or less, you will be charged a $75 fee. 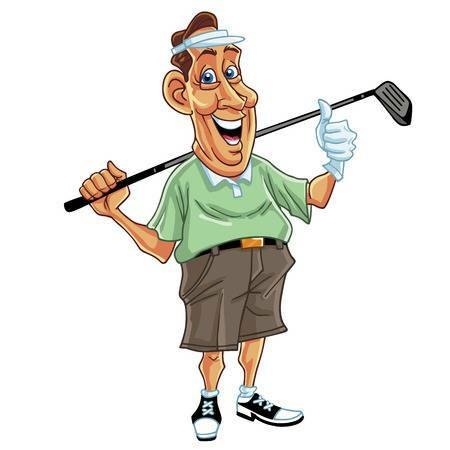 The golf courses do NOT offer refunds for rainouts. They will however, provide a rain check for the course, which is redeemable for a year. Lodging is for three nights at the Brunswick Plantation and Golf Resort. www.brunswickplantation.com. We will be staying in villa condos that have 2 bedrooms and 2 bathrooms per condo. There are 4 men to a room. (This is a men’s event only.) If you have specific requests for roommates, please make that known to the concierge when you sign up. Check in on April 9th is 4:00PM, although updates on earlier arrivals are made through text messaging. Check out is April 12th. Meals. There is no formal meal package. However, we will have breakfast and lunch in our room (TBD) for a recommended donation. Tim Brock (Brock’s BBQ) is my roommate and has promised to make it interesting. Dinner is on your own, with a host of wonderful seafood eateries in the area. We’ll also have snacks available for you to take on your rounds if you need them. We will buy them at bulk and make them available at breakfast for a low cost. Tournaments. We will have some golf ‘games’ for your consideration each round, although, I’m not sure how formal this will be and you are not required to participate. We want to foster as much community and fellowship in the group as we can. Just a note: Tim and I will be coming from the MASTERS TOURNAMENT on Tuesday after the practice round there. So, we will not be getting in until later that night. Once we know who is with us, we will establish a group text or other messaging system to keep you posted of places, times, meetings, etc. I am very glad you’re considering joining us and hope this is a great event for everyone. We are looking forward to being together. Until them, hit ‘em straight and long. If you would like a PDF of this information to send to friends or attach to social media, click HERE.